We are well past the tipping point of OTT TV delivery becoming a mainstream viewing technology. We’re now into the OTT 2.0 phase, where existing OTT video delivery methods are being honed and augmented, and trials of new OTT technologies are everywhere you look. 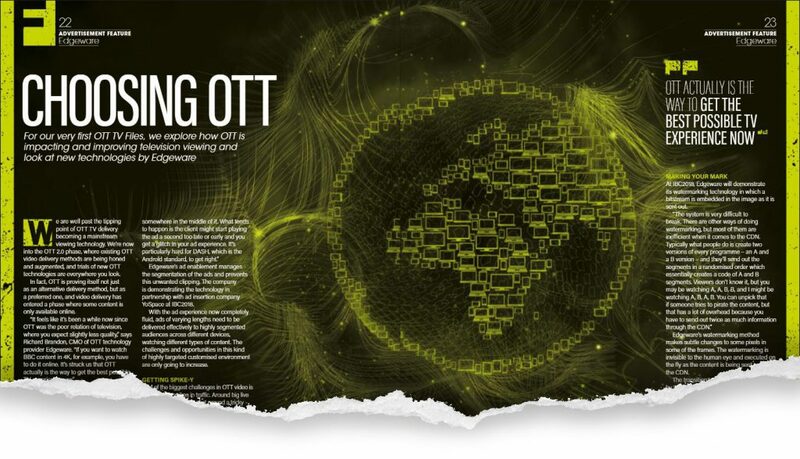 This feature explores how OTT is impacting and improving television viewing and looks at new technologies by Edgeware.